Maximum storage, maximum hydration, and better balance on your bike: The redesigned H.A.W.G. LR gives you all three. 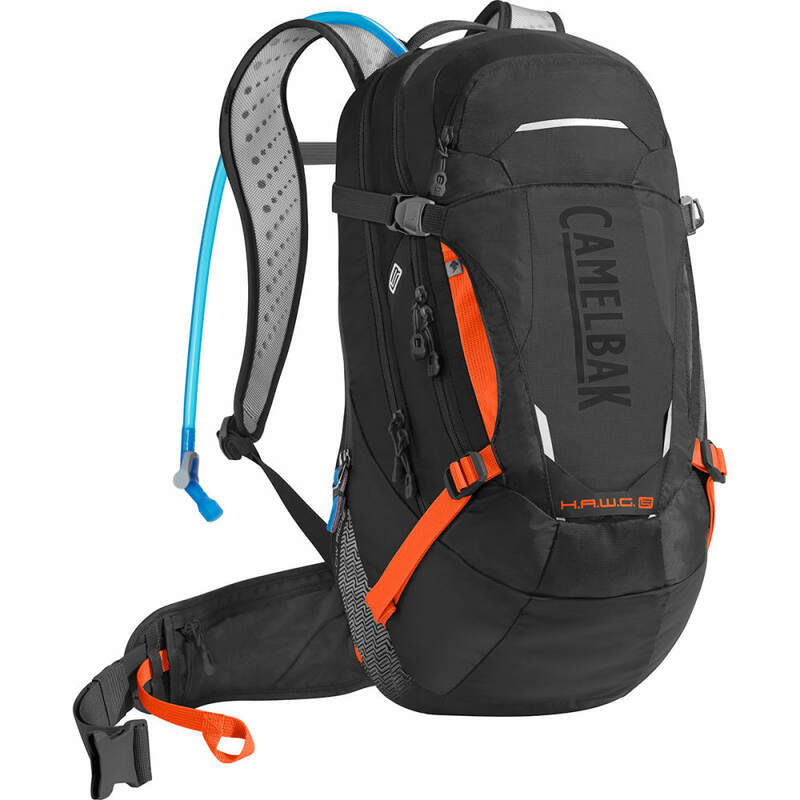 (After all, its initials do stand for “Holds A Lotta Water and Gear.”) It features an ingenious lumbar design that shifts weight to your hips for more stability when you’re riding with a fully-loaded pack. It’s also designed to hold a second reservoir for epically long days in the saddle. When the weather takes a turn for the worse, just pull out the integrated rain cover to shield your gear. It’s also redesigned with more tool storage and a magnetic tube trap that automatically clicks into place so you can drink without taking your eyes off the trail. The extra pockets on the waist belt keep essentials close at hand, and the universal helmet hooks make it easy to carry your helmet when you’re not riding. Hydration capacity: 3L/100 fl. oz. Gear capacity: 17L/1000 cu. in. Pack weight: 1 kg/2 lbs. 3 oz. Dimensions: 54 x 28 x 27.5 cm / 21.3 x 11 x 10.8 in. Dimensions: 21.3 x 11 x 10.8 in.